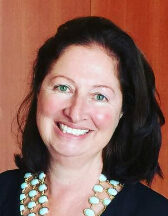 Margaretta Colangelo is a native San Franciscan with 25 years of experience working in the software industry. She has a worldwide ecosystem with over 11,000 entrepreneurs, engineers and investors. She advises and mentors startup founders in San Francisco, Los Angeles, New York, Boston, Austin, Chicago, Washington D.C., Albuquerque, Pittsburgh, London, Barcelona, Valencia, Seville, Zurich, Milan, Seoul, India, Israel, Kenya, Ghana, Morocco and The Russian Federation. Margaretta is President of U1 Technologies and Managing Director of Margaretta Colangelo Investments. U1 Technologies develops AmbrosiaMQ™, a messaging platform designed for large-scale, high-performance, distributed applications such as real-time electronic stock trading. Margaretta has joined six early stage startups since 1990. She has a proven track record of executing strategic alliances, forming partnerships and customer acquisition. She has founded seven networking groups on LinkedIn with over 14,000 members. Margaretta’s interests include: artificial intelligence, emerging technologies, innovation and entrepreneurship. Margaretta is a graduate of The Kent School in Connecticut and has a B.A in History and Government from Sweet Briar College.